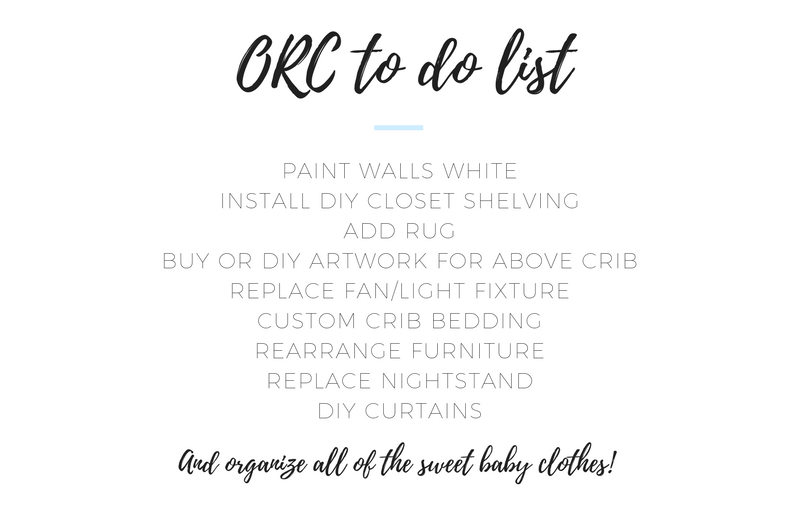 6 weeks to finish a nursery, 7 weeks till baby. Think we'll make it?! Eek! If you're visiting from the One Room Challenge, welcome! I'm Cait. I'm currently cooking baby boy number two, while rocking a full time day job, photography side gig, and moonlighting as a blogger. I'm a Northerner at heart, but currently call Charleston home where we are slowly but surely decorating our first family home! Our toddler has officially moved into his big boy room, meaning his nursery is giving me all of the feels. Wasn't he just a month old like, yesterday?! Needless to say, this space needs personalized and fixed up a bit for baby brother! Also because I've run out of closets to organize. I already shared some inspiration here so you can get an idea of where I'm going with this. 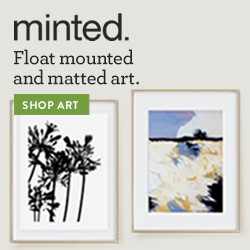 Basically, neutrals, texture, and wood elements! We are keeping most, if not all, of the furniture in this room which will help keep the room budget friendly considering we're also in the midst of decorating a big boy room. I would love to try rearranging the furniture too because it feels like we're walking straight into the crib when you come in the room. My biggest issue with the room though is the wall color. We painted it Benjamin Moore Grey Owl lightened by 25% and with only one small window in the room, the walls tend to have a green hue to them. It also feels pretty dark in there some days even though it might not look like it in these photos. 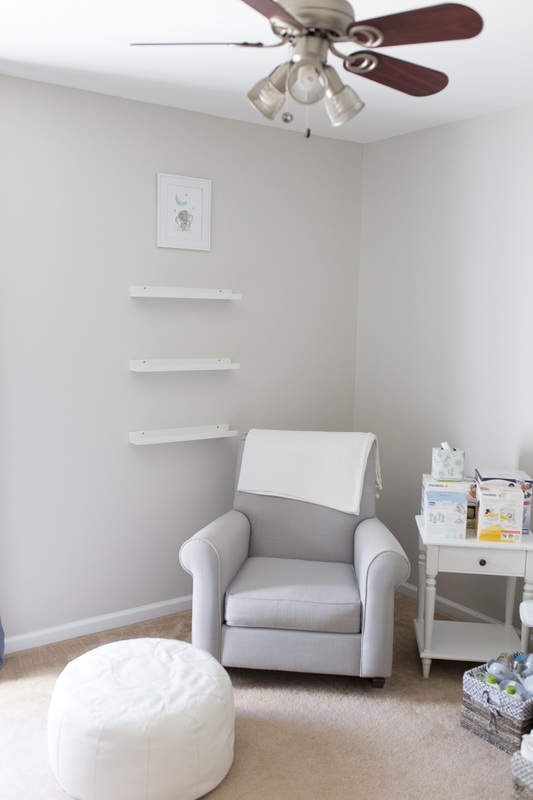 The closet in the nursery is L shaped and I've been wanting to add custom wood shelving in there for a while now. 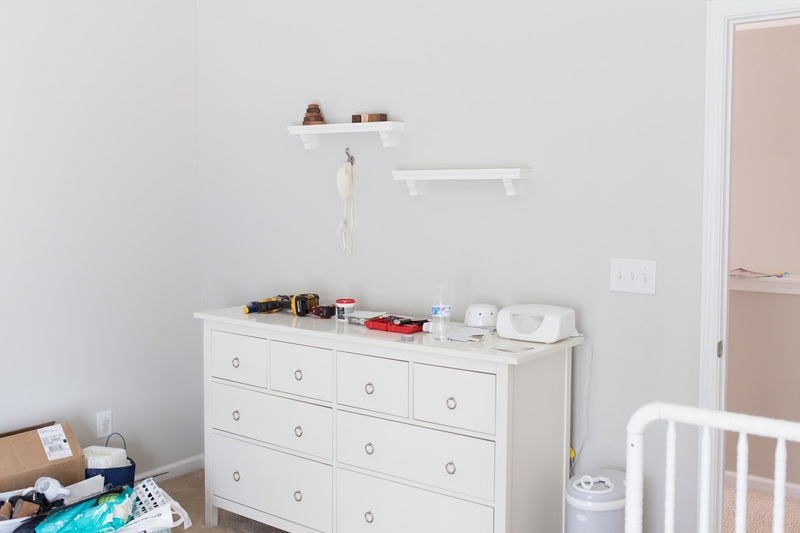 I'd love for the new shelves to fit all of the baskets that are currently sitting on the floor and all over the nursery... yikes! We've never done a built-in project like that before but I think its basic enough that we'll be able to manage! 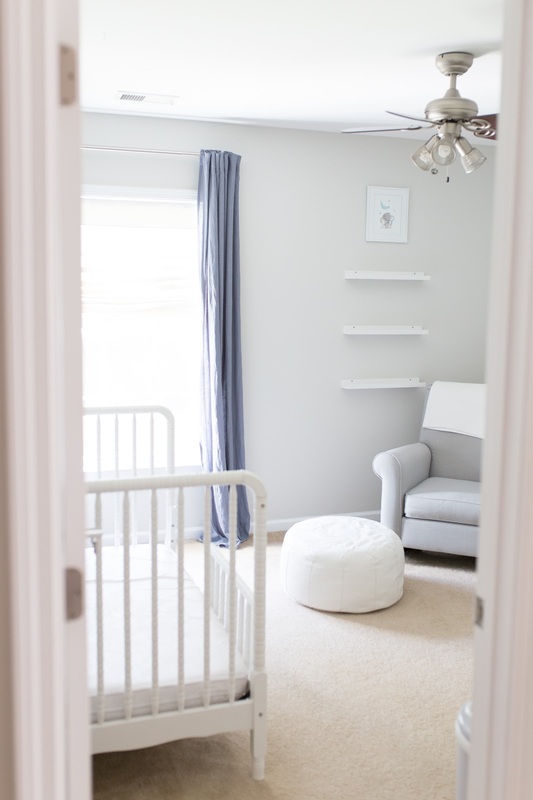 As you can see this room really just needs personalized now that all of the sweet little details have been migrated over to Rowan's big boy bedroom. I'm so excited to see it come together, fingers crossed we can make it happen before baby makes his entrance! 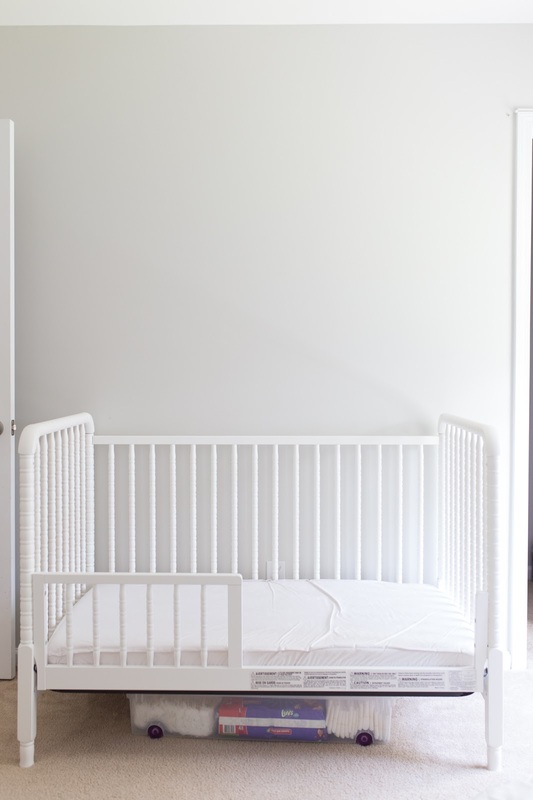 A major thank you to Carousel Designs who is providing the most beautiful custom bedding for our sweet boy's nursery! I can't wait to watch the transformation!! 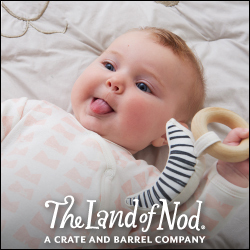 Ohhhhh I'm currently trying to work on my nursery so this is totally what I need to see! 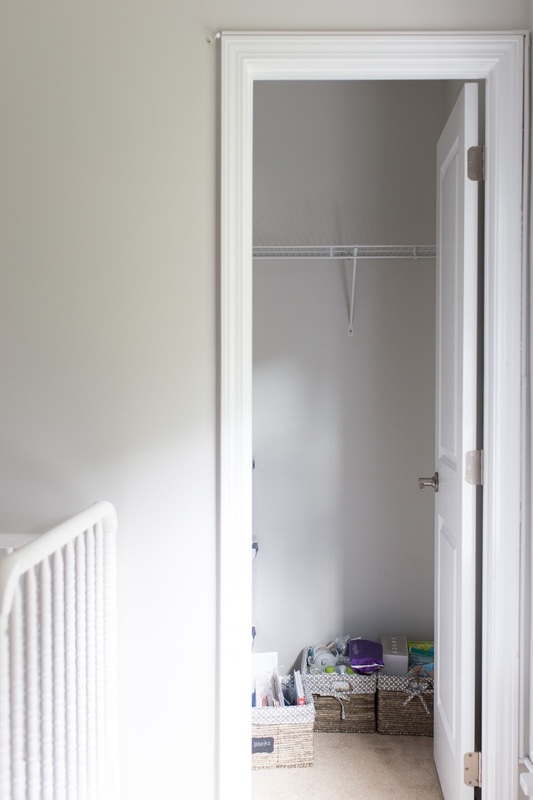 We did a custom closet like what you're talking about with Mabel's old nursery. Why do they put those completely ineffective wire shelves in closets? They don't hold anything! You'll be so happy to have a place to store all of your baskets!! I love the ORC! I can't wait to follow along!